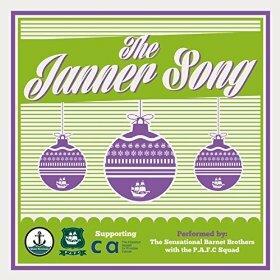 The Janner Song - Performed by The Sensational Barnet Brothers (featuring The P.A.F.C. Squad) is available to buy at the Green Taverners Website. Alternatively you can download through Amazon.